One piece aluminum cleaning rod with aluminum handle. 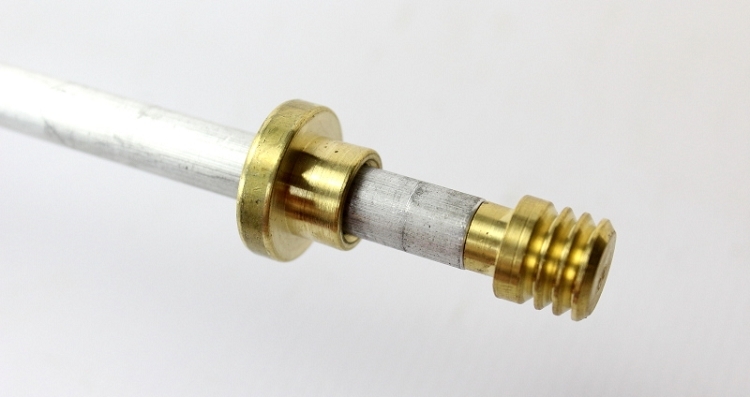 Features a brass bore guide and a brass patchdrum at the end of the rod. Rod accepts 5/16 x 27 jags. Patchdrum attached to rod has a flat base (see above pictures).